Crude oil has been rising slowly since the beginning of this year, but it looks like the rally has come to an end, at least in the near term. 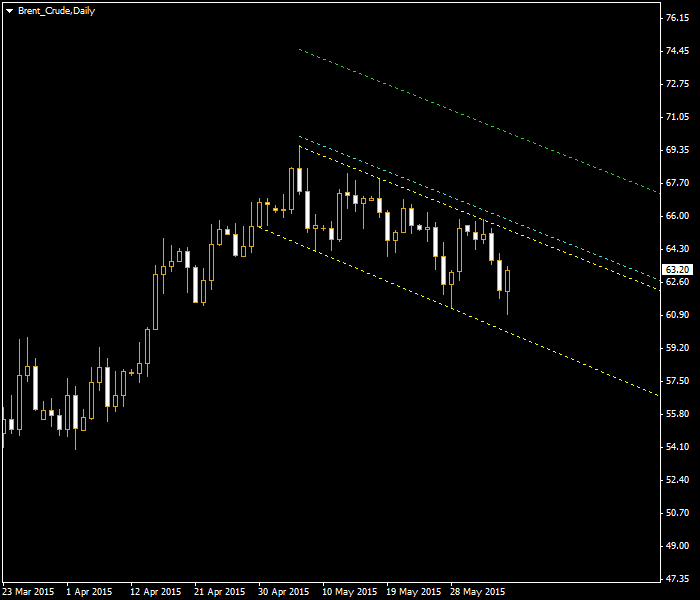 The reason for such thinking is the descending channel that has formed on the daily chart of Brent crude. 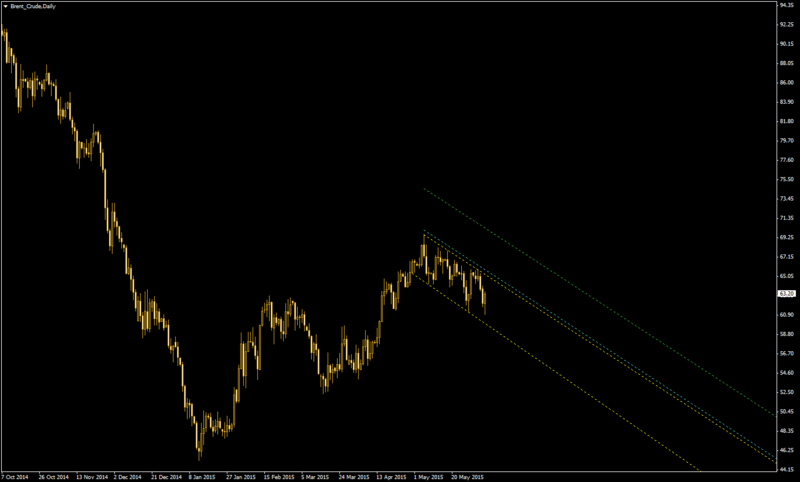 The pattern suggests that the commodity is in a downtrend. Yet prices usually do not move in one direction for long, meaning that bulls may seize the opportunity to buy cheap in case oil will break the channel to the upside, reversing the downtrend. The yellow lines on the present chart identify the descending channel, mirrored by the cyan and the green lines above it. The cyan line suggest the entry point for bullish bets in case of an upside breakout. The profit-taking are is shown by the green line.